D’Artagnan is convinced that he wants to be a musketeer and he has trained his entire life to do so. 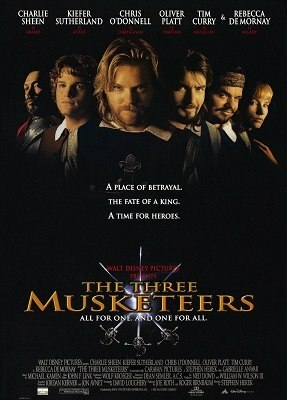 He heads to Paris in order to become part of the order, but when he arrives, he finds out that the musketeers order has been disabled by the king. Only three musketeers have refused to stop defending the king and keep calling themselves musketeers: Athos, Portos and Aramis. They meet under unfortunate circumstances and they set a duel among D’Artagnan and the three of them, although later on their relationship will definitely improve.